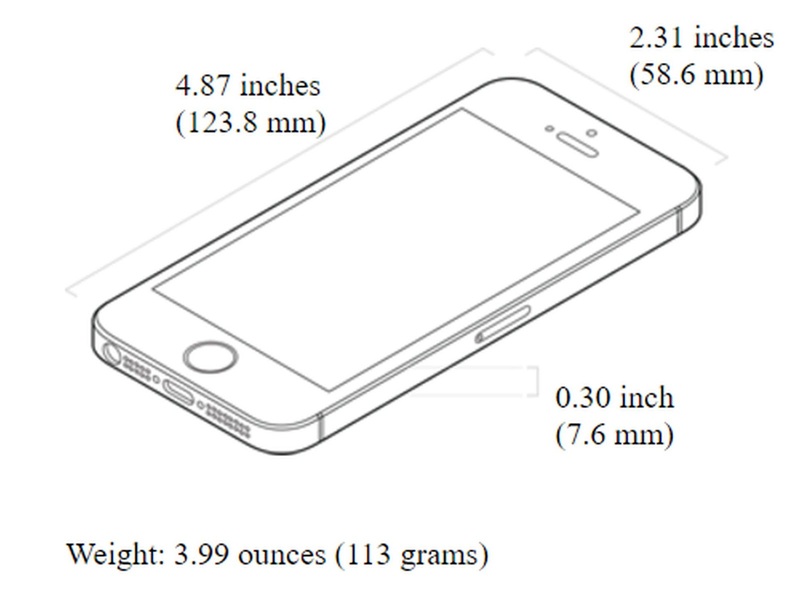 iPhone SE User Guide - iPhone SE ManualTutorials - Get started with iPhone SE and learn how to set up your New iPhone SE with iPhone SE Tutorial. 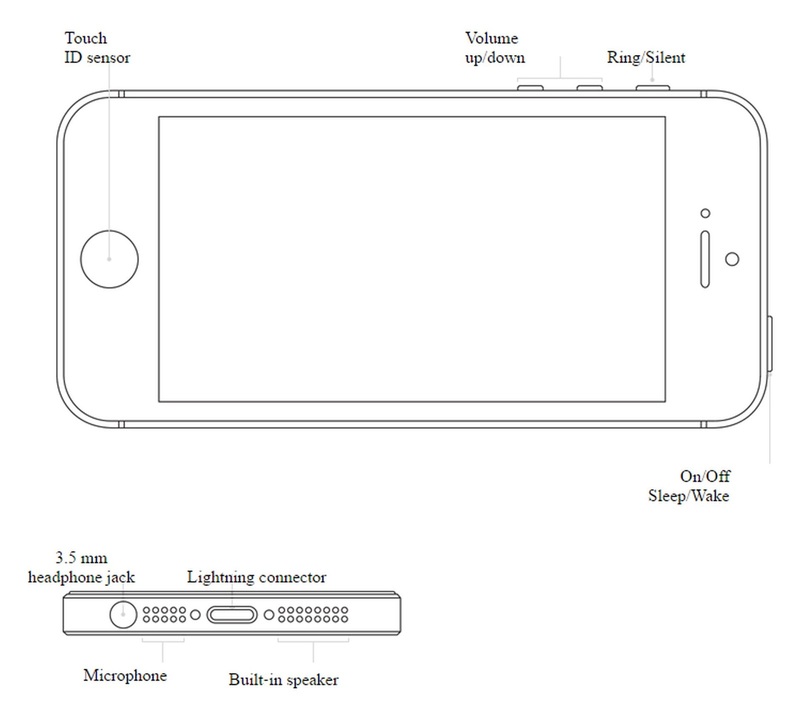 You can download iPhone SE User Guide PDF if it's available. 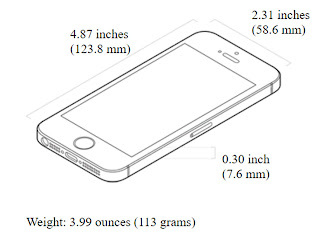 The most powerful 4‑inch the new iPhone SE. At the core of iPhone SE Processor is the A9, the same advanced chip that’s in iPhone 6s. With 64‑bit desktop-class architecture, the A9 chip brings you spectacular speed and responsiveness. And with console-class graphics performance, your favorite games and apps are incredibly rich and immersive. Making it a mighty chip for maximum performance. iPhone SE wireless is the Faster LTE and Wi‑Fi.You can browse the web, download apps and games, and stream video over 802.11ac Wi-Fi and LTE with speeds even faster than on iPhone 5s. And more Iphone SE LTE bands make iPhone SE better for worldwide roaming. 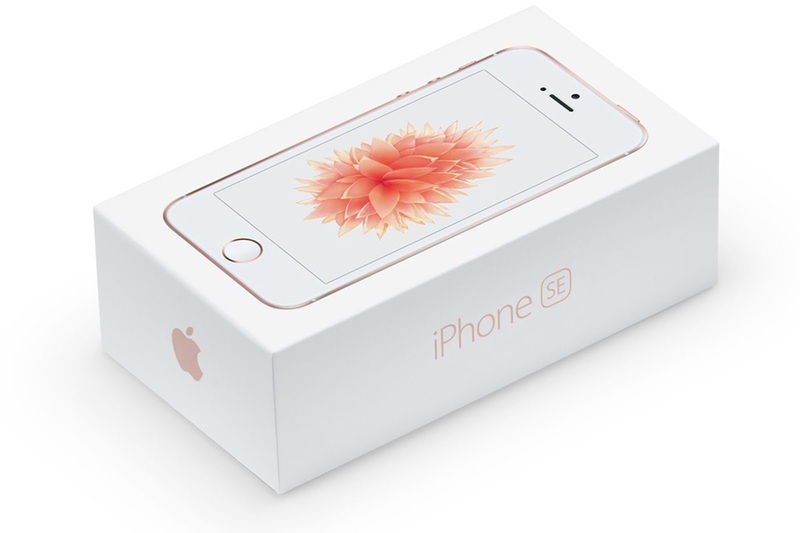 iPhone SE also supports Voice over LTE and Wi-Fi calling for high-quality wideband calls.2 And with Bluetooth technology, you can stay connected to your Apple Watch, external speakers, and other devices. While setting up your device, you can start over at any point by pressing the Home button. You'll see "Hello" in many languages. Slide from left to right anywhere on this screen. If you're blind or have low vision, you can turn on VoiceOver or Zoom from the Hello screen. To find your IMEI/MEID and ICCID, tap "i" in the lower right corner of the screen. 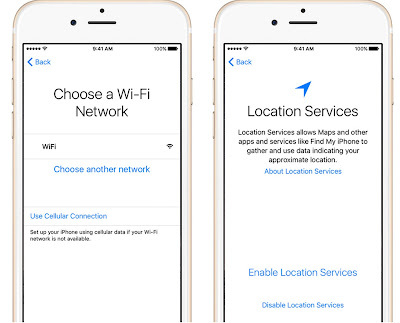 Tap a Wi-Fi network to connect. 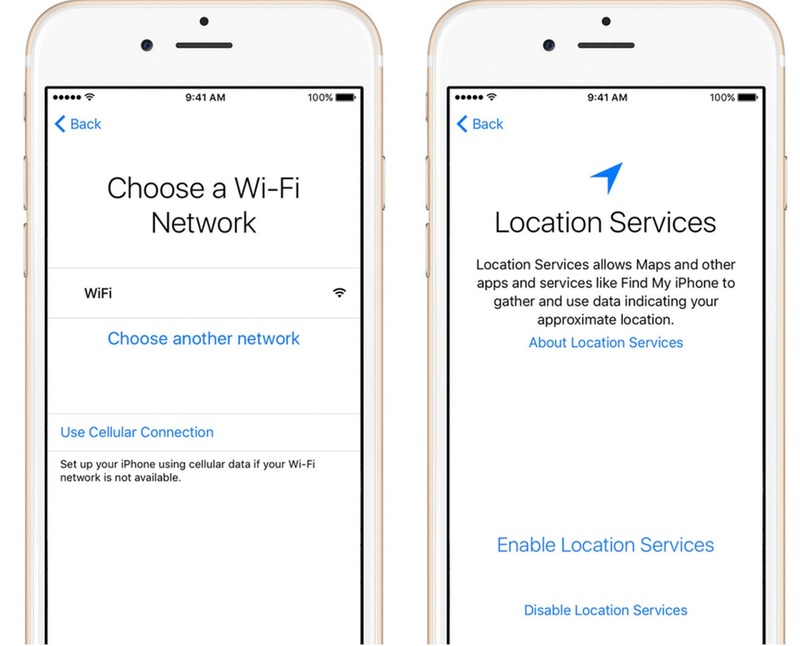 Or if you're setting up an iPhone or iPad with active cell service, you can tap Use Cellular Connection. Get help if you can't connect to Wi-Fi. Then decide on Location Services, a feature you'll need for apps like Maps and Find My Friends. On some devices, you can set up Touch ID. 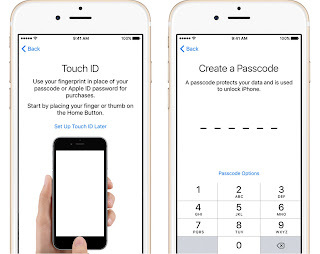 With this feature, you can use your fingerprint to unlock your iPhone SE and make purchases. Next, set a six-digit passcode to help protect your data. 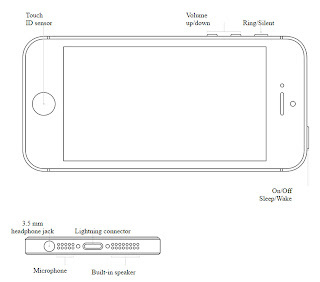 You'll need a passcode to use features like Touch ID and Apple Pay. 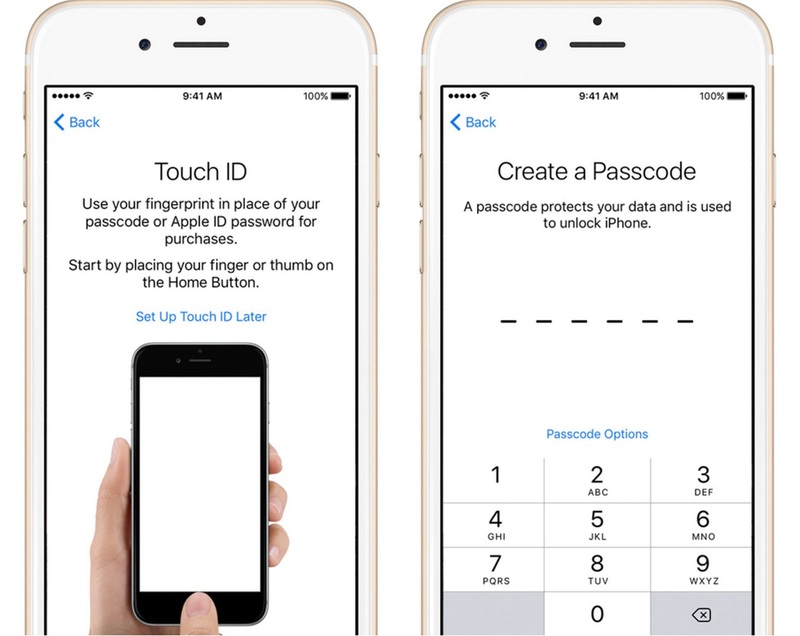 If you'd like a four-digit passcode, custom passcode, or no passcode, tap Passcode Options. Enter your Apple ID and password. To skip this step, or if you don't have an Apple ID, tap Don't have an Apple ID or forgot it. Next, if you've signed in with your Apple ID and created a passcode, you might be asked to set up iCloud Drive, Apple Pay, and iCloud Keychain. Choose whether to use Siri. On some devices, you'll be asked to speak some phrases so that Siri can get to know your voice.